A pending lawsuit might cost the Austrian motorway financing company up to € 37m. Full-year profit is still expected to rise. 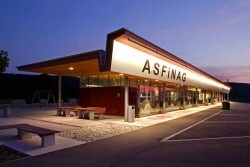 Asfinag announced a dividend payment of € 30m for the year 2011. It is the first dividend paid by the company since 2008 when the state also received € 30m.